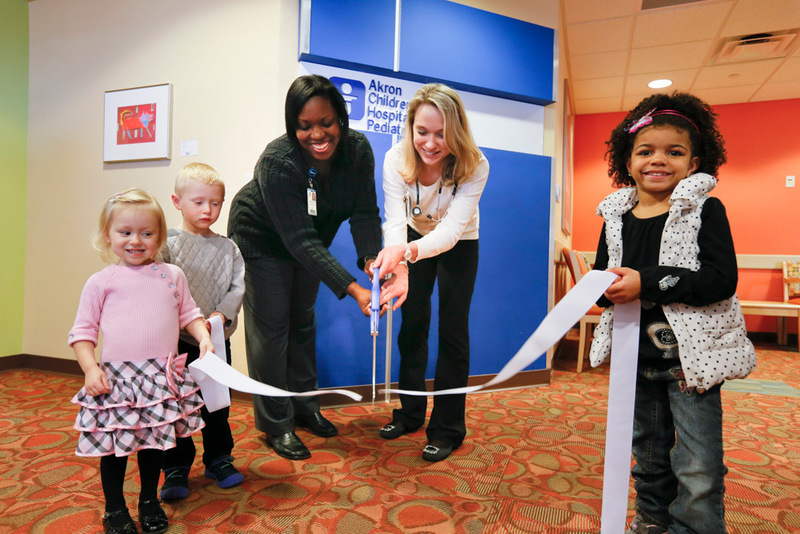 A ribbon cutting celebrated the new pediatrician office on Nov. 18. Doing the honors are pediatricians Charlyce Wallington, and Jennifer Snyder, alongside patients (left to right) Lydia Lancianese, age 3, Lucas Stouffer, age 3, and Yaminah Adekunle, age 5. 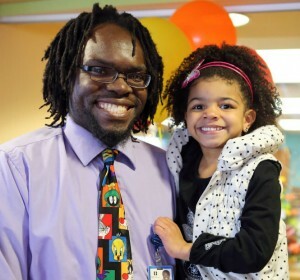 Dr. Emmanuel Adekunle with his daughter Yaminah, age 5. It’s a humming office strategically coordinated with 7 pediatricians, 2 nurse practitioners and about 25 support staff who know practically everyone in the community. 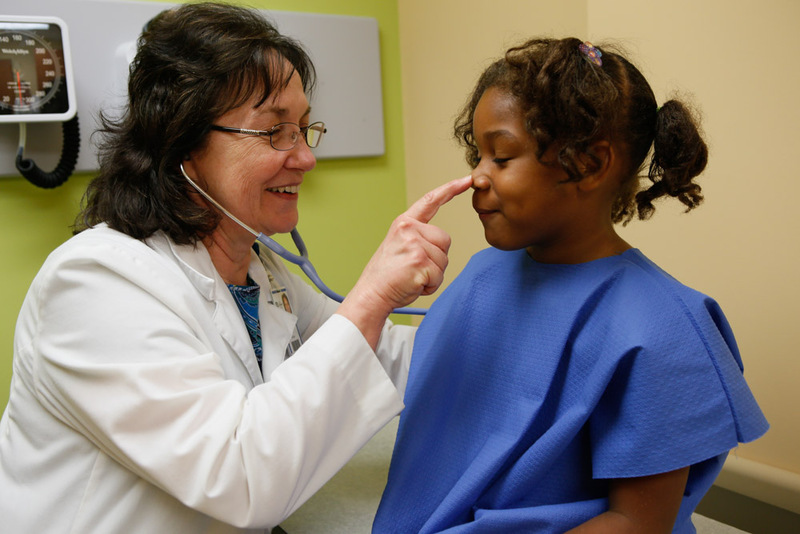 They have cared for their friends and neighbors’ children since the office opened in 1997. That much traffic 5 1/2 days a week can take a toll on any building. They knew a refresh – but more than just paint, carpet and new furniture – was necessary. The office staff provided guidance and feedback using the Lean Six Sigma process to design the new location to save costs and increase capacity. And, all while improving the patient family’s experience and staff communication. The bright, cheery, kid-friendly office is located on the first floor of the Green Professional Park at Routes 619 and 241, along with Crystal Clinic and soon-to-be Paragon Health Associates. It has 2 more exam rooms and is a just a couple doors down from the former office. Local school, city and government leaders celebrated with the office staff and hospital administrators last Tuesday. Akron Children’s is committed to providing pediatric primary care close to home for families in northern Ohio, so you’ll find an ACHP office in 23 communities with about 100 board-certified providers. All are always accepting new patients. Find one close to you.